There is no lack of glamour or comfort in Los Angeles. You can find extraordinary places to stay without breaking a sweat. However, there are some hotels that represent la crème de la crème, the finest options, as some may say. These places don’t only offer top-notch luxury and comfort but also a remarkable service experience that may be impossible to match. In the following lines, we’ll try to talk fairly about the top 7 hotels in Los Angeles, places you need to know today, even if you aren’t planning a trip soon to the City of Angels. This hotel is pure elegance and well-being, everything in an experience that will be hard to forget. The Peninsula Beverly Hills focuses on cozy rooms and trendy leisure. The rooftop café, cosmopolitan restaurant, and lounge for afternoon tea are some proofs of this. Looking for a fine 5-star hotel to spend the night? The Beverly Hills Hotel may be that place. 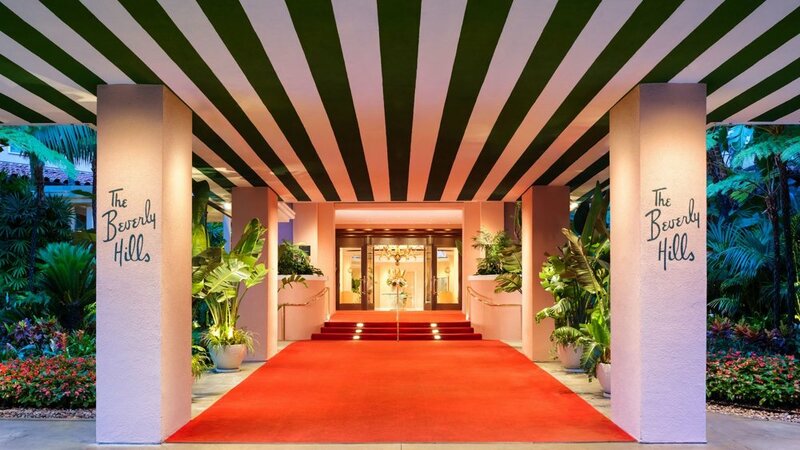 This world-famous hotel can be found on 12 acres of spectacular gardens and it has the perfect location to go shopping, being near to Rodeo Drive. Rooms at the Beverly Hills Hotel offer a lavish experience, along with marble baths, premium linens, and high-end gadgets. The iconic Hotel Bel-Air cannot be absent from our list. This exquisite place takes inspiration from midcentury Spain architecture, giving it a Mediterranean spirit that is successfully transmitted to the ones who stay. This 5-star hotel welcomes lucky guests with astonishing gardens. The experience includes a top-notch restaurant run by world-class chef Wolfgang Puck, jaw-dropping outdoor spaces, gardens, and a hotel car. The Four Season brand speaks for itself. This is a name in hostelry that many are familiar with and it represents lavishness and coziness at their best. This hotel is notably near to two Los Angeles hallmarks that no first-time tourists in LA could miss: the Hollywood Walk of Fame and the LA County Museum of Art, just like the Peninsula Beverly Hills at the top of our list. In a modern location, The Ritz-Carlton Los Angeles 5-star hotel lies within the LA LIVE entertaining complex, being the right option for wealthy sports fans who want to be next to the Staples Center. As expected, rooms are filled with all kinds of amenities that will guarantee our absolute comfort, from 24/7 room service to luxury linens and marble bathrooms. Here, the chef Wolfgang Puck excels as well with a high-end Eastern restaurant. Los Angeles needed a Waldorf Astoria and the one they built, was built the right way. The company chose Pierre-Yves Rochon for the designing phase, a world-class hotel designer that has revolutionized the entire industry. This remarkable hotel, modern and luxurious in many senses, pushes the experience further with a more metropolitan style. Rooms are filled with high-end gadgets and the amenities include several restaurants and bars, including a French fusion place. This 5-star hotel in Santa Monica has a more oceanic vibe, with beautiful, vibrant rooms filled with luxury. The experience includes an Italian restaurant with ceramic tile flooring, a hotel car, and a full-access wellness spa, everything only a few minutes away from the Californian coast.